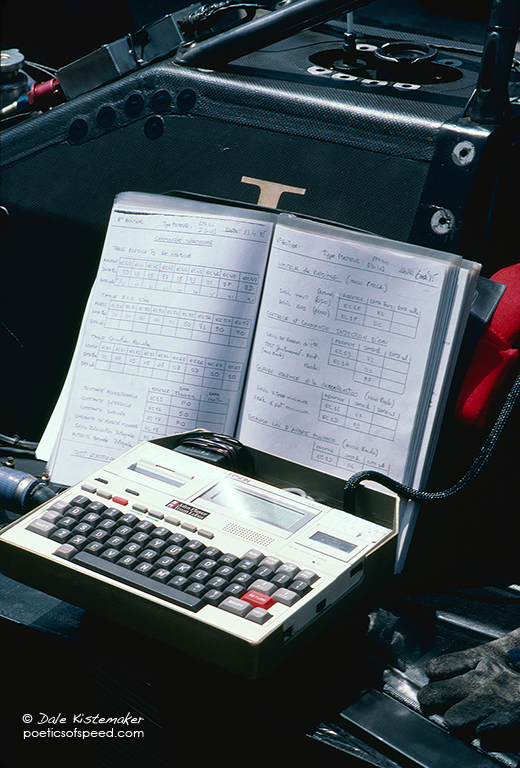 I was astonished to find an engineer’s notebook left open on the 1985 Lotus-Renault. The pages show command settings for the wastegate, limiter, water injection and other engine parameters. The computer is an Epson HX-20 considered to be the first laptop.